Thanks for all your help with Bens 18th! 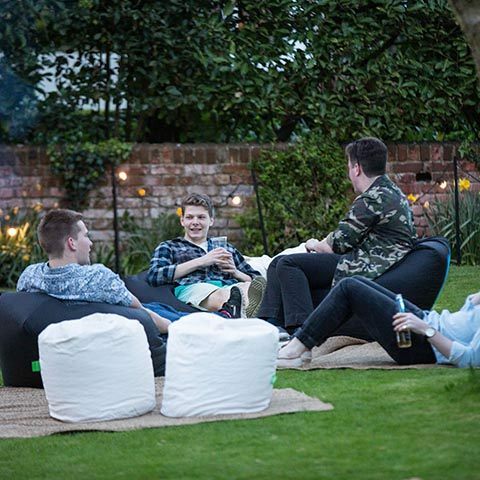 For this young man’s 18th birthday celebrations, we were asked to install a marquee at the family’s home in Kingston Upon Thames and to design and coordinate a festival-style marquee party for 100 guests. 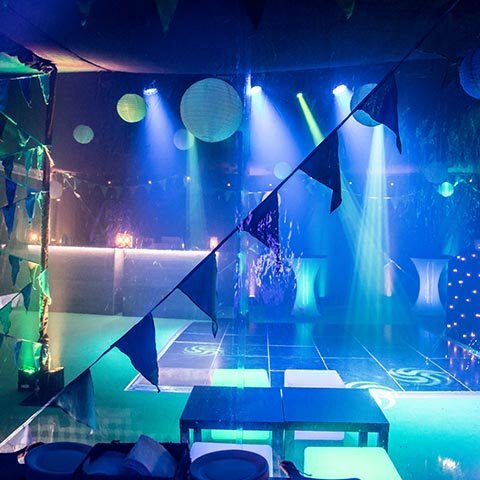 Bunting, flags and lanterns were a must, and they added brilliant flashes of colour, both inside and outside the marquee. 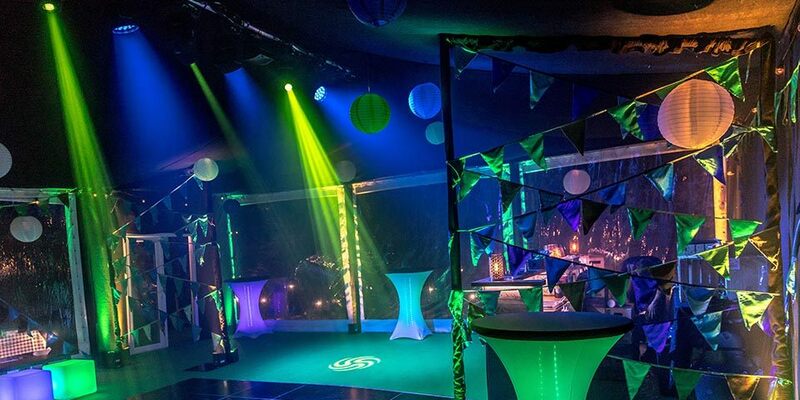 The interior was lined throughout in black velvet to help establish the party atmosphere and the boarded flooring was covered in green carpet to connect the outside and inside. A slick black dancefloor was installed ready for guests to ‘strut their stuff’. 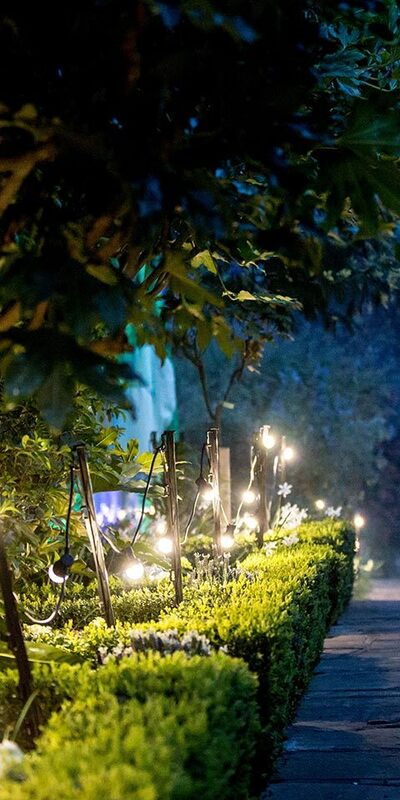 Intelligent lighting worked hand in hand with the music for dynamic and ever-changing effect. 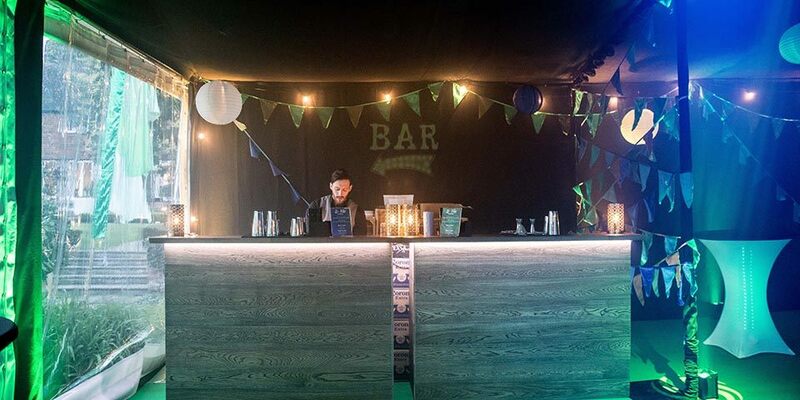 And, whilst the theme was festival, we couldn’t expect guests to suffer the elements, so thermostatically-controlled heaters were installed for an ambient temperature. 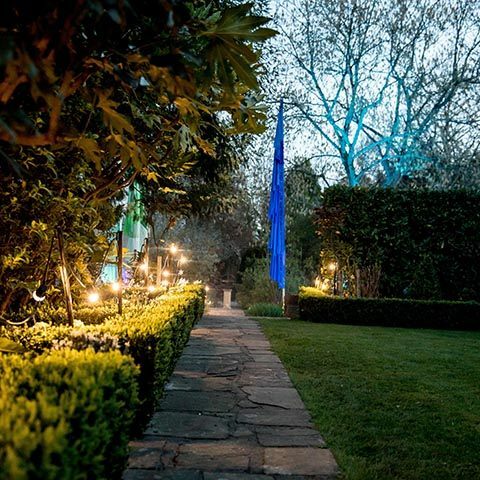 Despite the time of year (late March), we created a great outdoors environment with colour wash lighting and festoon lights, and threw down hessian mats and large beanbags so that guests could relax away from the music and dancing. 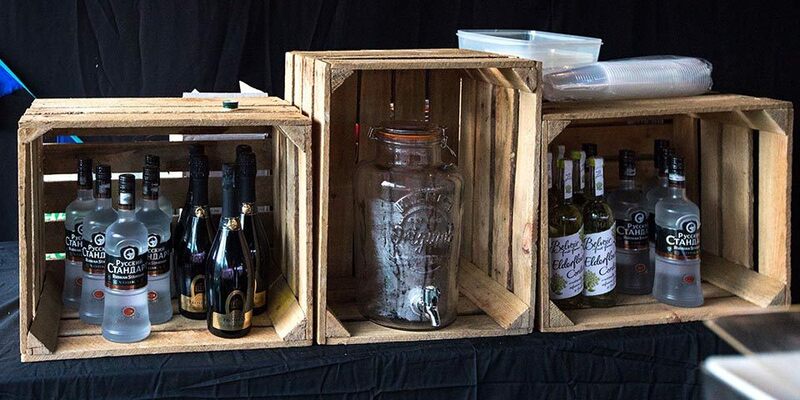 Pizzas were served from a specially adapted Land Rover with a wood-fired pizza oven, and we set up a rustic wooden bar inside the marquee.